The Paris Motor Show is a major event for new car launches and already the manufacturers are jockeying for position to grab the column inches. Today’s it’s the turn of Toyota who have decided that their new Auris will take a bow there. The UK-built built compact hatchback has a sharper, more distinctive styling makeover which reflects the new face of Toyota. 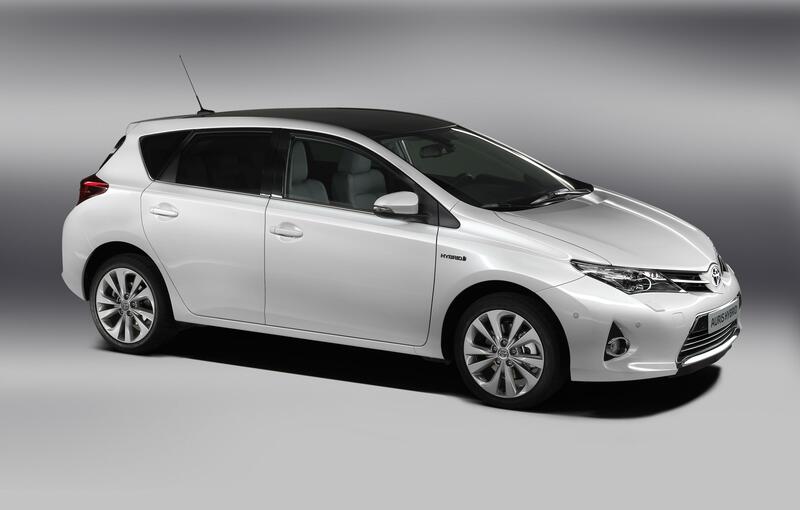 There’s also a full hybrid to be offered alongside the usual diesel and petrol powertrains. Potential buyers will see the cabin and boot spaces are bigger and that better quality materials have been used. Alongside all of this, Toyota’s boffins have also focused on the car’s weight and chassis design as well as the aerodynamics to improve performance, fuel consumption and fuel emissions. There are high hopes that this model will help boost Toyota’s growth in Europe – the Auris is the firm’s top selling vehicle – and things are looking good for them. Prices and spec will be released later this year. This entry was posted in News and Views and tagged auris, caption, car, Europe, LS, MoT, new Auris, New Toyota Auris, price, the Paris Motor Show, toyota, toyota auris, UK by Steve Lumley. Bookmark the permalink.